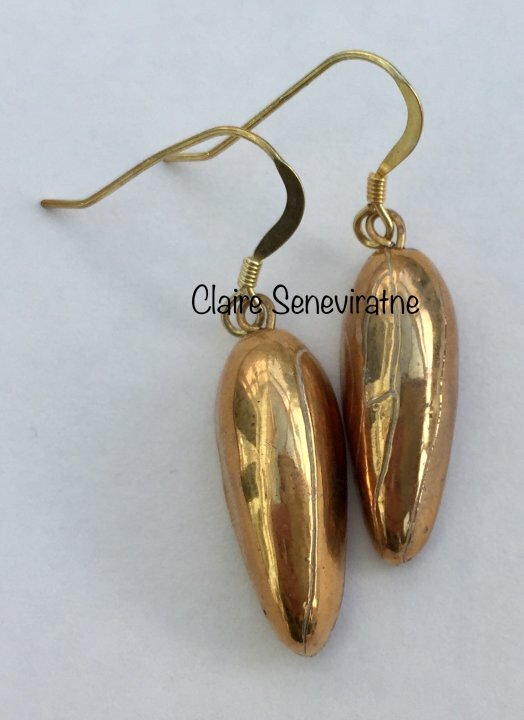 Claire Seneviratne - Ceramic Artist: Gold teardrop earrings. These earrings are made from porcelain and have been fired in kiln twice. Once to fuse on the glaze and the second time to fuse on the gold lustre. The ear wires are vermeil which is sterling silver plated with 22 carat gold.